Found this in one of the notebooks I have lying around. It was blank dummy book that printers would give us when I worked for a publisher. I liked to use them for sketch books on the train way back when. 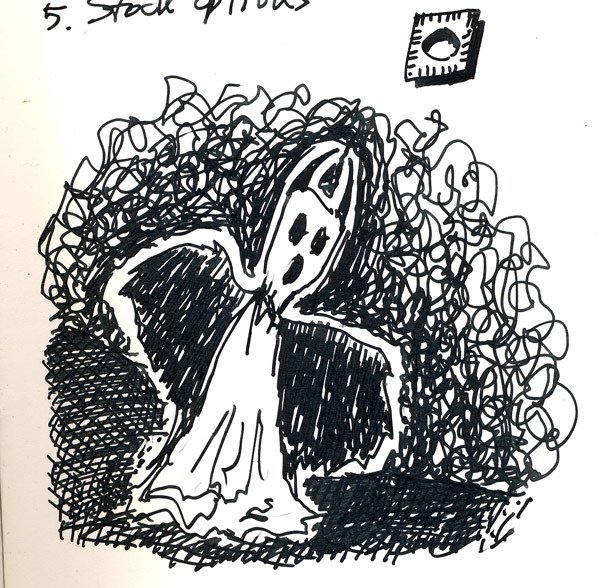 This entry was posted in 1995, costumes, ghost. Bookmark the permalink.